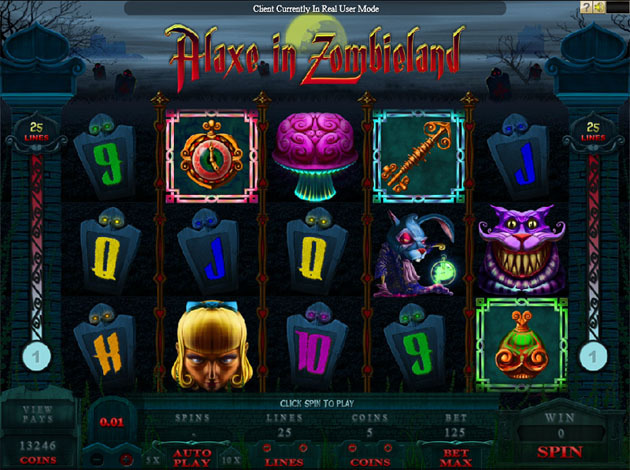 Welcome to Alaxe in Zombieland, yet another tight and innovative Video Slot presented by Videoslots.com. Pick the number of lines you want to play, all the way up to 25 lines per spin! This of course makes it easy for any player to adjust the stakes to fit his/hers personal bank roll. Hit the right tombs, the creapy characters and go for any of the numerous bonus features. You´ll find plenty of winning chances, so be prepared to have some cash added to your wallet! Good luck playing this Video Slot, Alaxe in Zombieland!